Bradley Beal was named to his first NBA All-Star Game on Tuesday night. 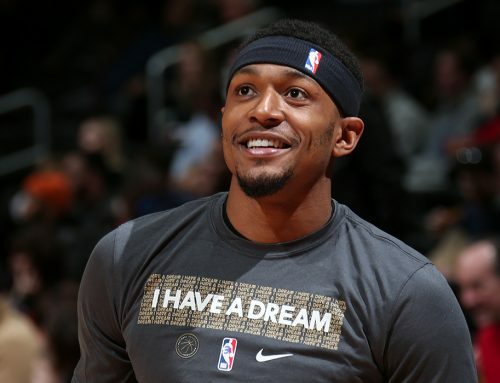 Beal will also be participating in the JBL Three-Point Contest during All-Star weekend in Los Angeles next month. Head Coach Scott Brooks knew it was only a matter of time before Beal was selected to his first All-Star Game. “I’ve been saying it for a year and a half, he’s an All-Star, he’s been playing like an All-Star, he leads us like an All-Star,” Brooks said earlier this season. 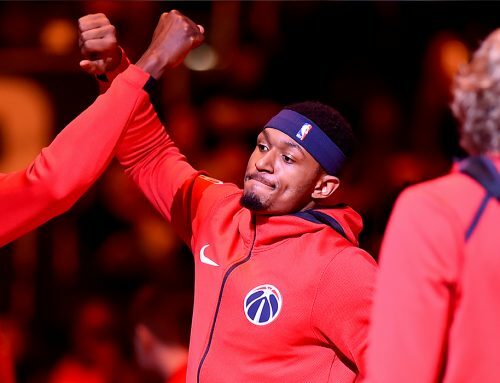 Beal has had a fantastic season this year with many notable performances, including becoming the youngest player in NBA history to reach 700 three-pointers made and a career-high 51-point scoring outburst in December against the Portland Trail Blazers. BB will be joined on the court by his teammate John Wall, who will be making his fifth appearance in the NBA’s midseason showcase. This could be the first of many appearances for the All-Star duo that has set the bar high for themselves. “We want to be the best duo, the best backcourt in the league,” Beal said. Beal and Wall, while they are teammates with the Wizards, may find themselves battling against each other in the mid-February exhibition. For the first time ever, the NBA All-Star game rosters will be selected by team captains, which were determined by the two leading vote-getters from each conference. Gone are the days of East versus West, for the time being. Stephen Curry and LeBron James will be responsible for constructing their star-studded lineups that will feature two Washington Wizards for the first time since the 2007-08 season when Caron Butler and Antawn Jamison represented the team. With more recognition, comes more responsibility, and Beal and Wall will continue to work to drive their team to new heights. They will be hungry for the season’s second half when they return from Los Angeles. 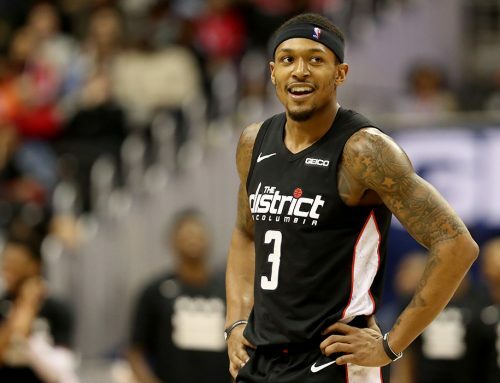 “Now it’s time to take it up another notch, to a new level, and be more consistent,” Beal said. The three-point contest will be the second event on State Farm All-Star Saturday Night, Feb. 17. Saturday events begin at 8pm ET. The 67th NBA All-Star Game itself will tip off at 8pm ET on Sunday, Feb. 18. All of the weekend’s action can be seen live on TNT. @RealDealBeal23 congrats big bro! Much deserved happy for you! Congrats to my brothers @JohnWall @RealDealBeal23 !! That’s Special !! Bradley Beal and John Wall together as all-stars — the most significant step in their self-fulfilling prophecy of being the best backcourt in the league.